Slim design container, in a light brown/tan color. Ideal for smaller centerpieces and displays. 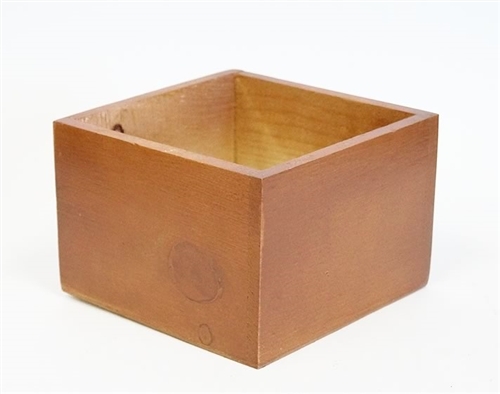 These hard-to-find square wooden containers hold everything from centerpieces to floral arrangements.